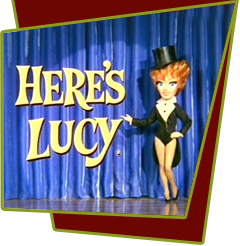 Lucy and Harry find Rudy Vallee working as a waiter, waiting on tables in a restaurant. Although he is wealthy, owning the entire block, he hopes his crooner style of music will become popular again. They insist on helping him get back into the music business. Lucy decides to modernize him and make him a star again, so Kim must help Rudy to sing like the Beatles. Special Notes: According to Lucille and those on the show, Rudy Vallee (1901-1986) had the foulest mouth of anyone she's worked with and was very difficult while filming this episode. He would blame every person around him for anything he couldn't do. If he made a mistake, it was always somebody else's fault.